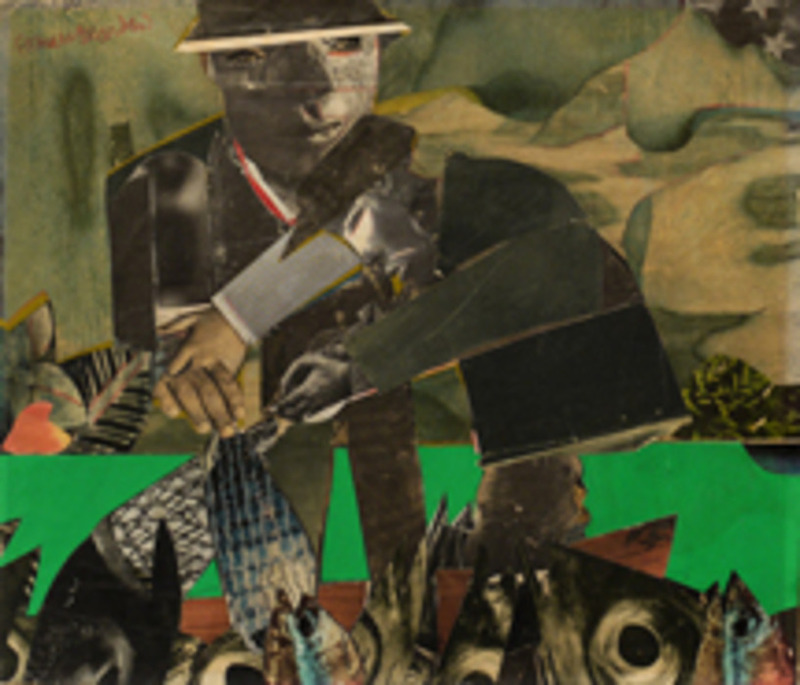 The Grey Cat, 1979 Collage On Board 16" X 24"
The Uncoupling of the Hounds, 1946 Oil On Board 25" X 32"
Two, But Not Two, 1987 Watercolor 30" X 22"
Pittsburgh Memory, 1964 Collage Of Printed Papers With Graphite On Cardboard 8 1/2 × 11 3/4 In. © Collection of halley k harrisburg and Michael Rosenfeld, New York. 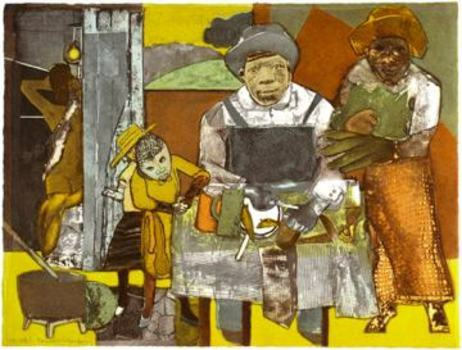 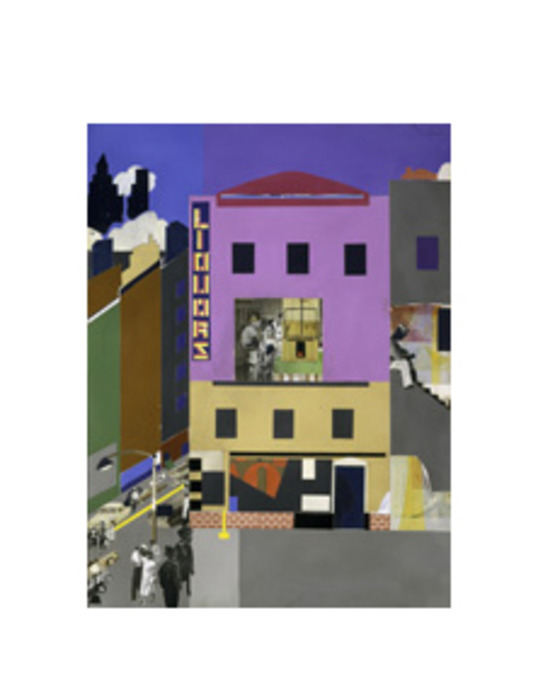 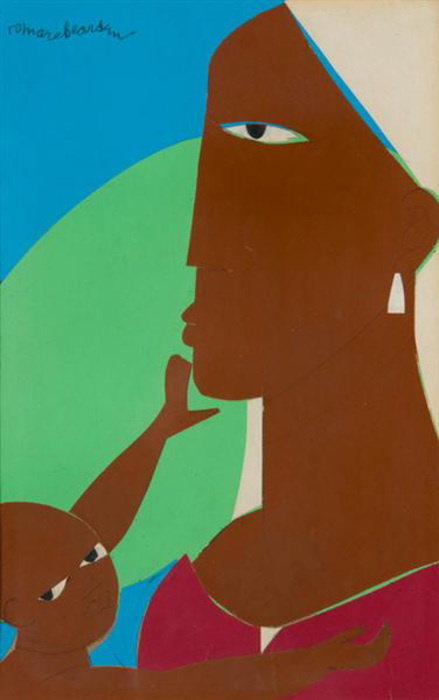 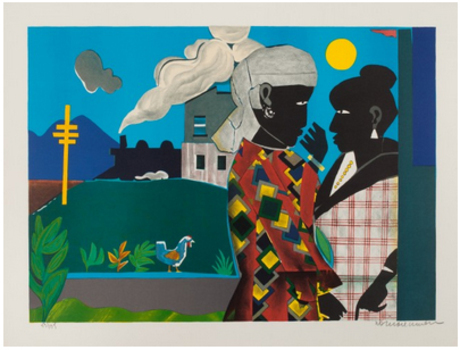 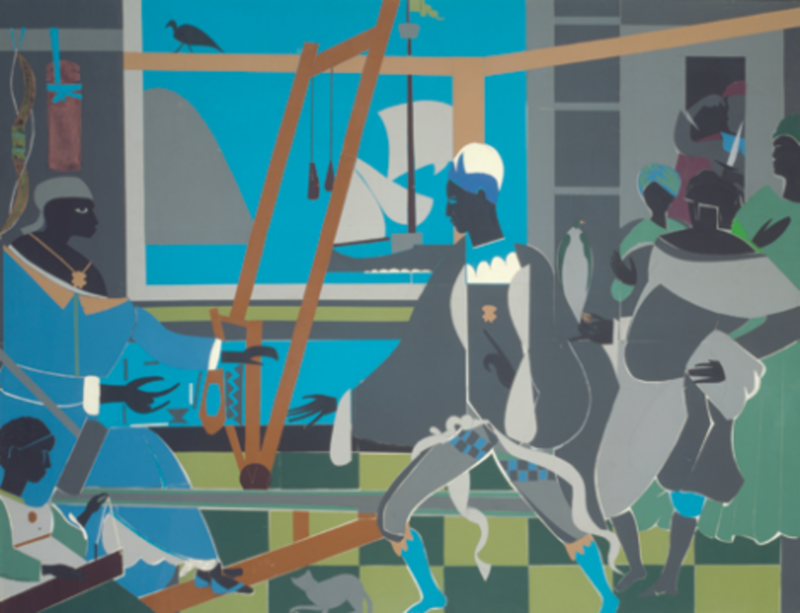 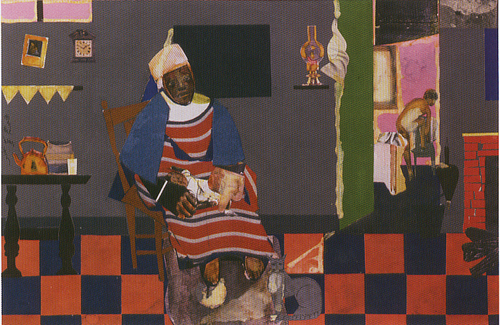 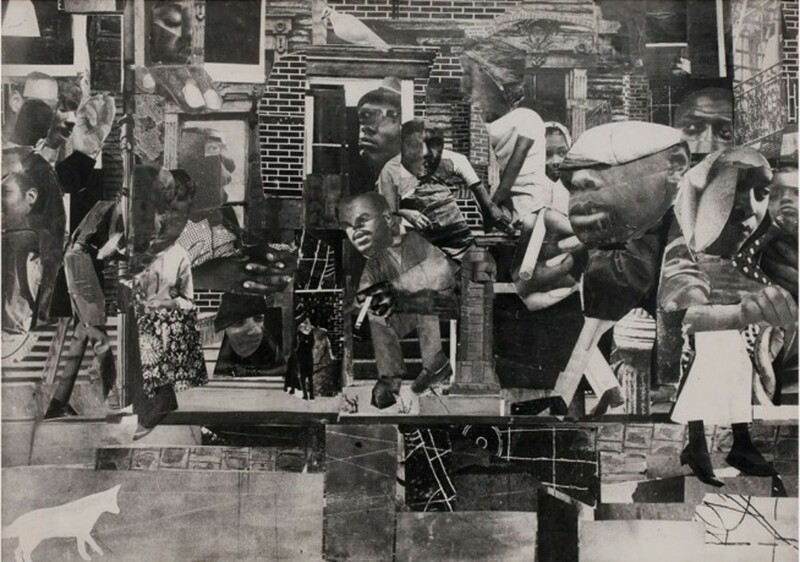 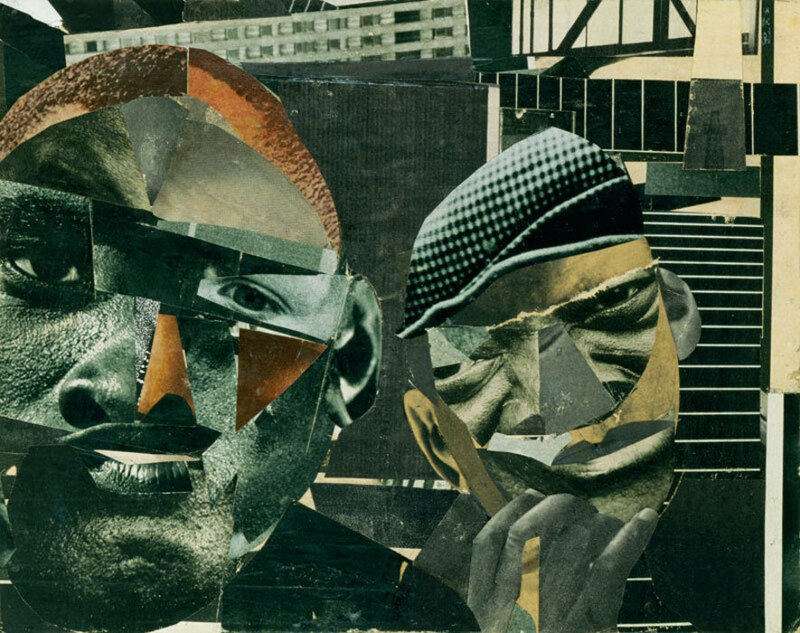 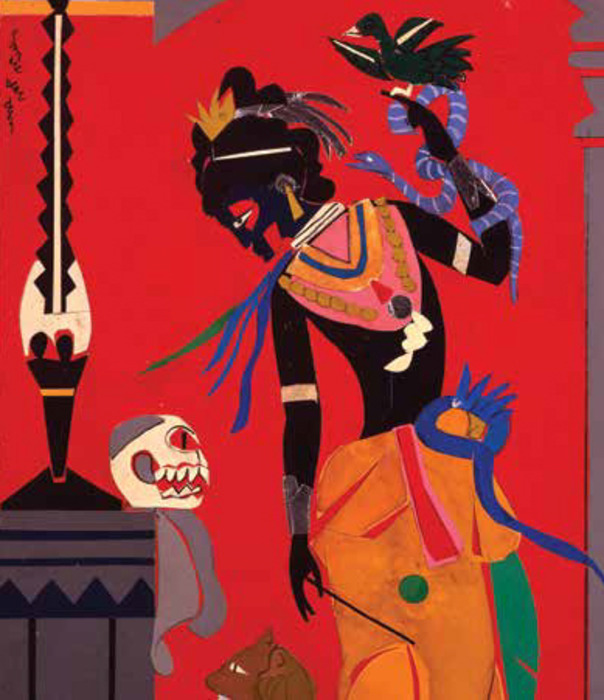 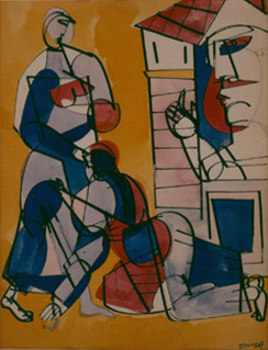 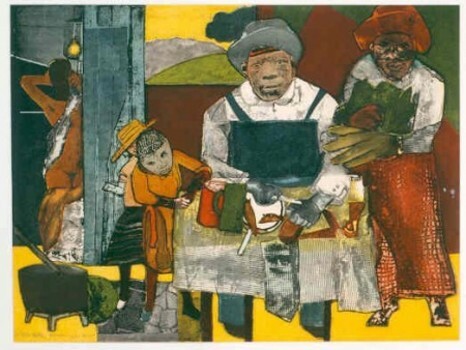 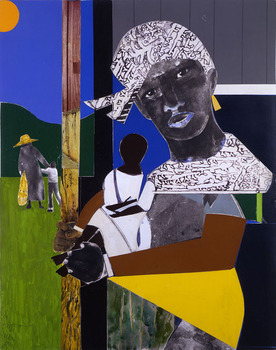 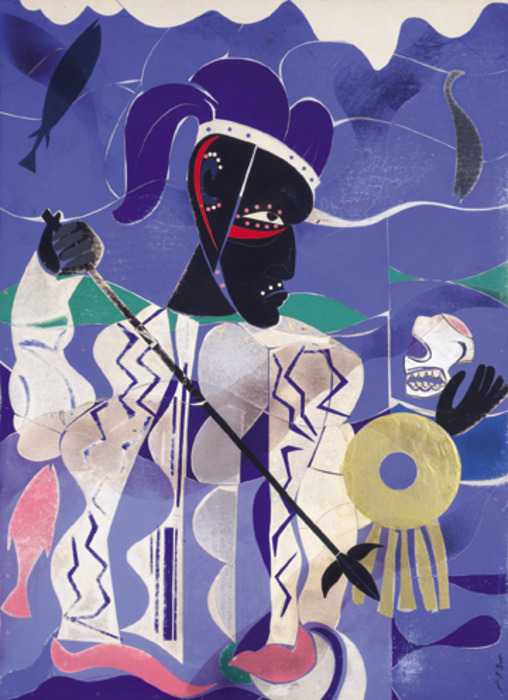 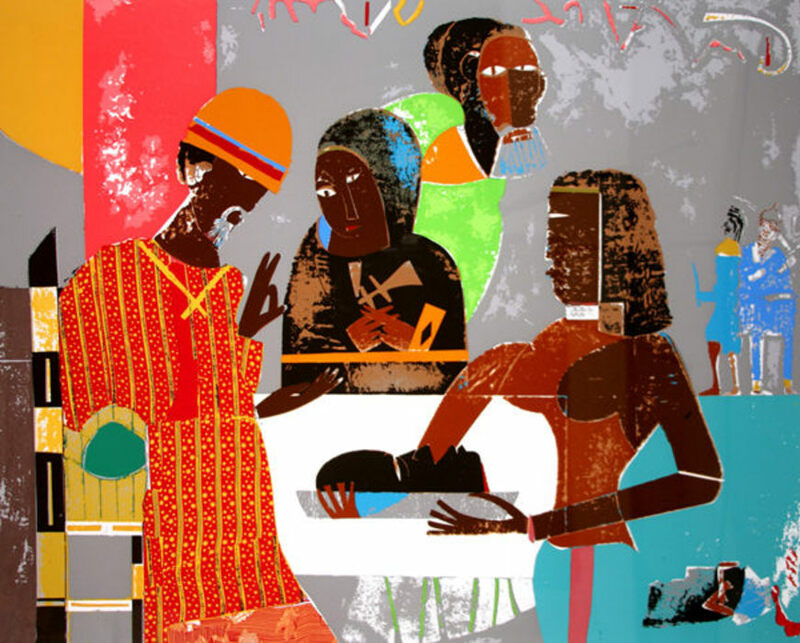 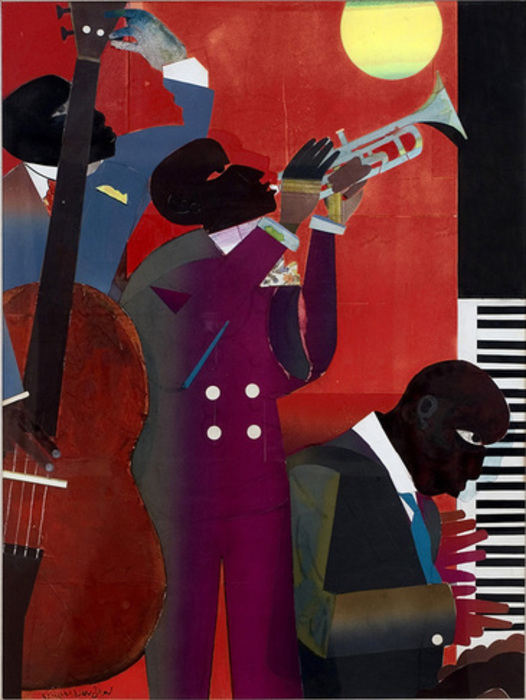 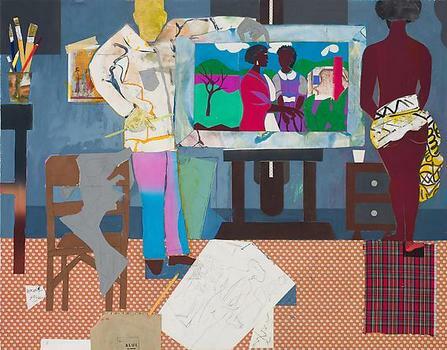 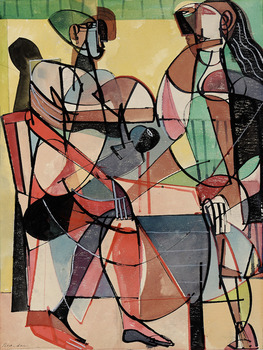 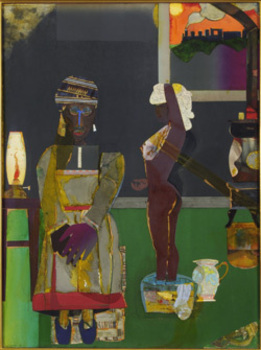 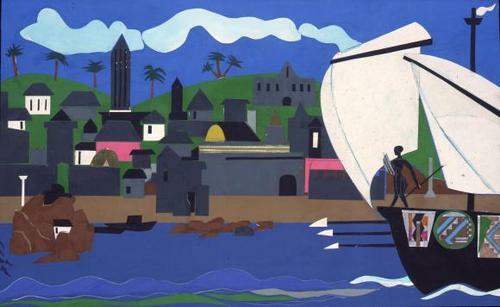 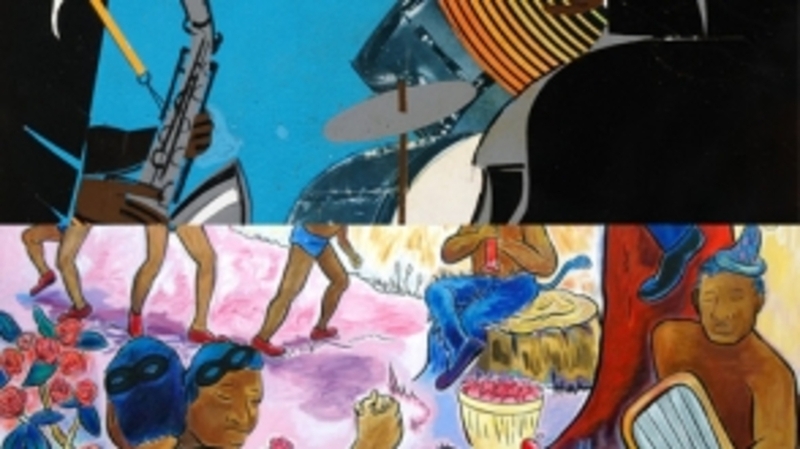 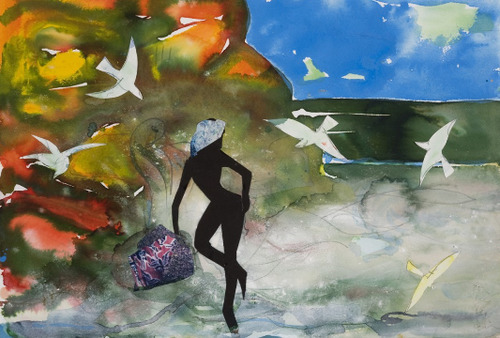 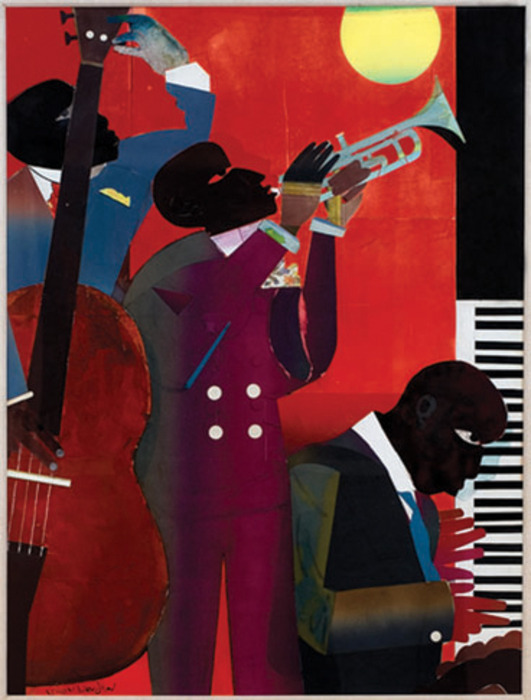 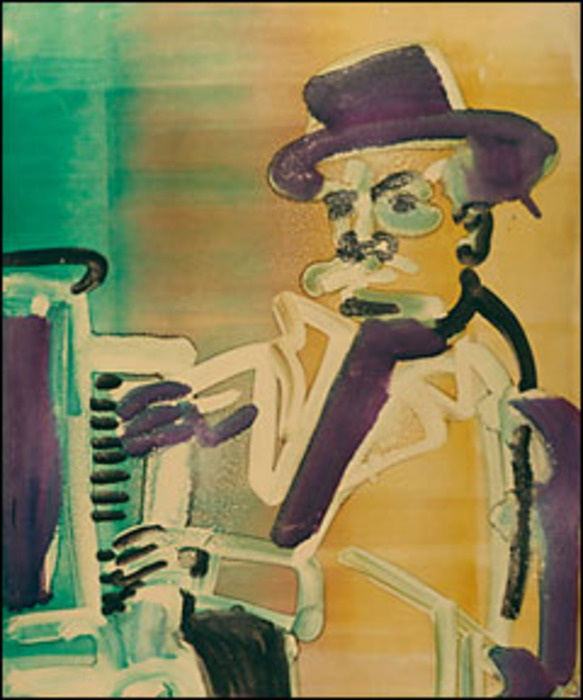 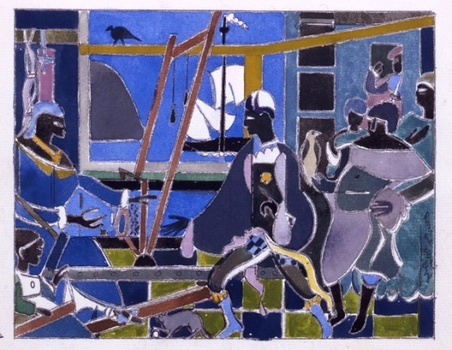 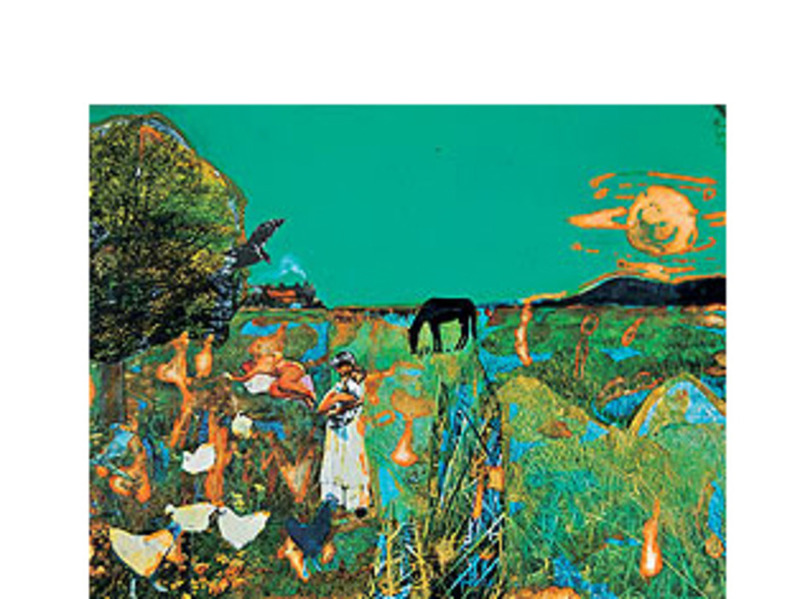 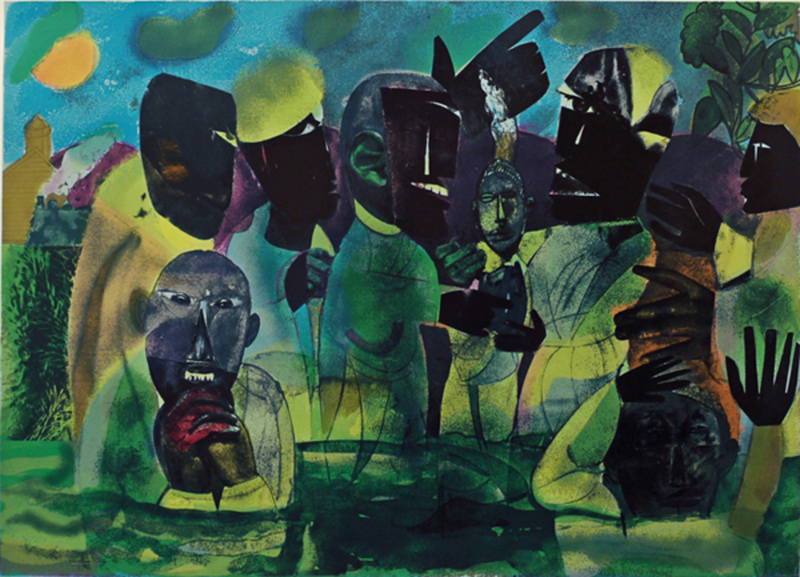 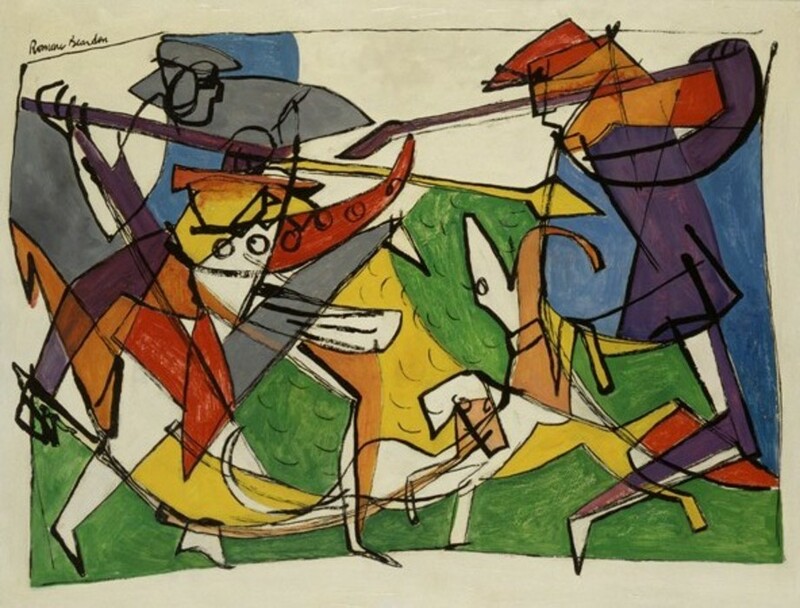 Art © Romare Bearden Foundation / Licensed by VAGA, New York, NY.